▸ The gist: Last week, The Advocate broke the news that Mayor Joel Robideaux chose a team led by developer Jim Poche to redevelop the long-vacant old federal courthouse Downtown. Robideaux’s choice and the decision to forego a public process raised some eyebrows, but other applicants and stakeholders say there was nothing unseemly about the decision. ▸ Some background: Five teams applied for the project, responding to the city’s Request for Qualifications in April. Given the public fanfare around the RFQ process and the significance of actual movement on a stubborn issue, it was somewhat surprising to see a decision made behind closed doors and without announcement. Further muddying the affair is the mayor’s friendship with E.J. Krampe, one of Poche’s partners on the project. 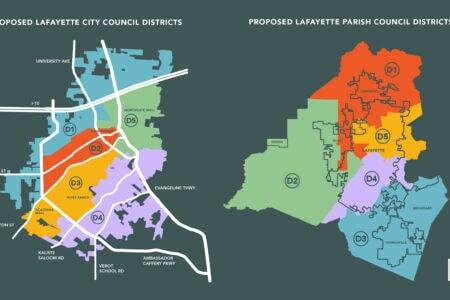 Robideaux told The Advocate that Poche’s winning team — called Place de Lafayette — checked the right boxes: it intends to build market-rate housing and do so without financial help from the city. Some do question whether the right project can be delivered at Poche’s estimated cost of $15 million. ▸ Going public: The administration was very cautious to avoid triggering a public process. For instance, Downtown Development Authority CEO Geoff Dyer was nearly excluded from from an internal LCG panel that interviewed the applicants, out of concern that involving an agency not directly housed within LCG would constitute a public meeting. As Robideaux notes in The Advocate’s report, he preferred not to make a “public spectacle” out of the decision. “He’s going through a process that’s transparent where it needs to be,” Dyer says. Robideaux has the authority to make the selection unilaterally, and parties involved say he made a good choice for the right reasons. Dyer points out that the old federal courthouse project itself is particularly difficult to navigate and has vexed leaders in the past. 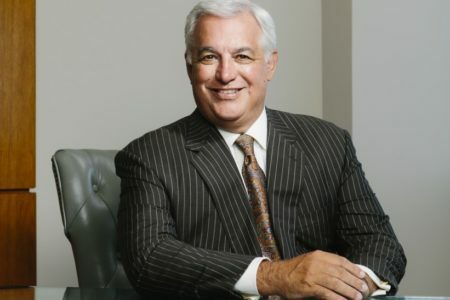 Dyer says Poche’s application showed knowledge of the on-the-ground issues facing the project, namely the need to develop market-rate housing Downtown to set a basis for pricing other projects and to do so with a simplified process that can cut through historically complicated politics around the site.